Suit up your iPhone X with the best premium case around - the Capdase Rider Jacket Fuze LN. The iPhone x has been in the market for quite some time now. It's by far the most expensive iPhone Apple has released. And if you're a new owner of an iPhone X, the first thing you'll probably do after you unboxed the handset is stuff it in a case. Its front-glass stainless steel-frame construction is prone to chip and scratches. Thus, if you ask me, a reliable case is wise investment. We all know that Apple products always come in a premium price standpoint, especially the iPhone. It's also a sound decision to find a premium case worthy of your handset's price. 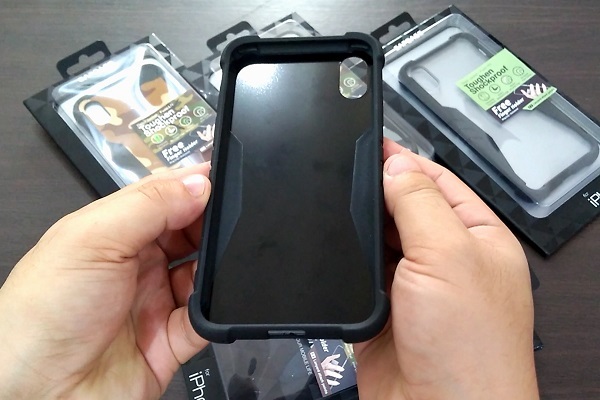 Premium casemaker, Capdase, got you covered when it comes to producing the premium smartphone case lines. 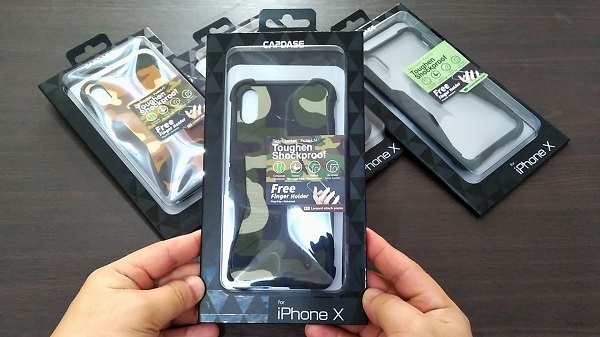 In its portfolio, Capdase has different lines of iPhone X case depending on the level of protection you need and the design you want. Today, we are going to feature the Rider Jacket Fuze LN case. This is an impact-resistant iPhone X case designed with rugged covers that protects the iPhone X in all possible areas. The Capdase Rider Jacket Fuze LN is the best in shock absorption that provides your iPhone X durable protection from unexpected bumps and falls. In terms of construction, the iPhone X case comes with a sturdy polycarbonate backing and thermoplastic polyurethane bumpers. The case also ensures that the four corners and the cameras of the iPhone X are perfectly fitted. Likewise, the Rider Jacket Fuze LN employs raised shoulder pads to prevent the handset from scratching on the surfaces it's nestled. Capdase always makes sure that their cases are compatible with the handset in terms of ports and buttons. This Capdase iPhone X case offers compatible airspace for clickable buttons and accessible ports. The slot for the camera is also contour-fitted with proper height. Likewise, the padded corners prevents the camera bump from direct contact to the surface. What I love about the design is the fact that it offers additional grip. 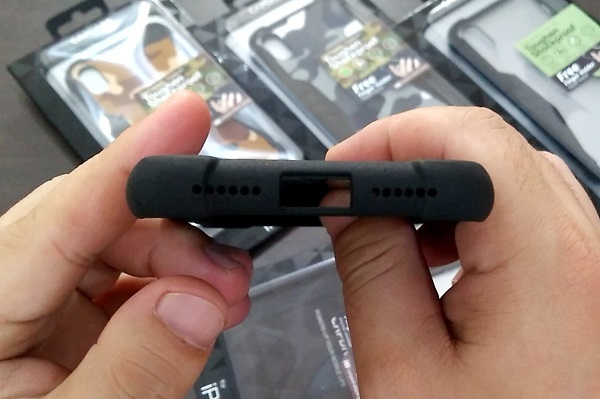 The sides of the case comes with concave slits to add friction on the hands. The bumpers are now 3D curved which is also pleasing in the eyes compared to the previous Rider cases. Plus, the laminated fabric with camouflage print is definitely a scene-stealer when seen on the wild. There's also additional slots at the lower right side of the iPhone X case for lanyard accessibility. If you're always outdoors or you just want to have the best protection for your iPhone X, the Capdase Rider Jacket Fuze LN case is a relief to have for your iPhone. This'll give you worry-free experience when you're on-the-go or when you're having another trip outdoors. 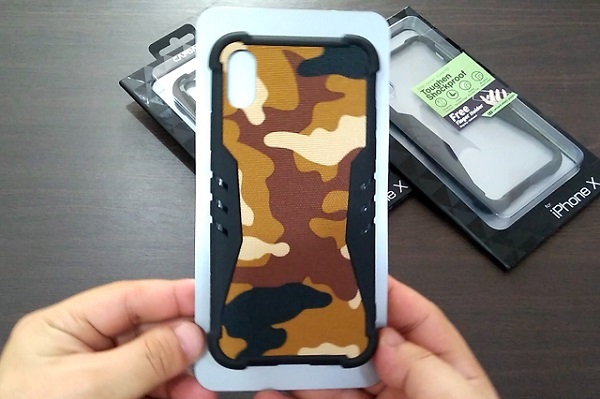 Likewise, if you're a fan of camouflage prints and wanted to have a rugged feel to your handset, this iPhone X case is perfect for you.